"Sharp, well-balanced pruning shears are to gardeners what a good knife is to chef. Professional floral designer Pauline Runkle of Floral Artistry in Manchester-by-the-sea went through 40 different brands of shears before she discovered the Japanese-made ARS Precision House and Gardens shears. Now she sells them, and we're glad, because they're the best in indoor/outdoor shears we've ever used. They're versatile enough for light pruning in the garden and for flower arranging in the kitchen. 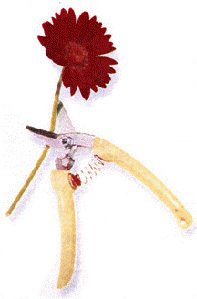 Very sharp and lightweight, strong for their size and better suited for womens' hands than conventional clunky pruning shears, they combine power and delicacy." I have been using your sheers for a long time - since a lecture you gave here is San Diego. As I was doing a baby shower centerpiece for a granddaughter, the sheers disappeared with the trash!! I was devastated. So now, an order for 2 pairs. Thanks for all the beauty you bring to us." It's me again! Just received my 2 pairs of sheers. Send me 3 more!! I am so excited and realize I need Christmas gifts for special friends - what would be nicer then the sheers. One of my friends was also at your lecture and she will be thrilled to receive these." Buy "Shear Delight" online now. Gardening and flower arranging are two of the most passionately pursued pastimes. Now, from the Garden Club of America-one of the most respected garden organizations in the country with 195 clubs nationwide-comes a glorious, full-color book showcasing the most imaginative, elegant, and dramatic floral displays being created today. The fascinating text reveals how the best arrangers create their floral masterpieces and gives readers the how-to advice and inspiration they need to create their own beautiful arrangements. Pauline's bouquets grace the books pages celebrating her naturalistic style of floral arranging. The flowers are freshly gathered from her garden, carefully conditioned, and arranged just prior to the photo shoot for this book. Every aspect of the arrangements reflect her passion for gardening and using her flowers in her floral masterpieces. 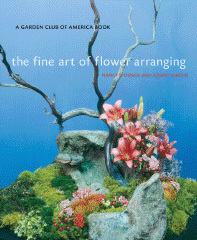 Buy "The Fine Art of Flower Arranging" online now. Beautiful photographs of Pauline's garden at 3 Plum Hill are included side by side with expressive personal quotations. Pauline's garden is among 93 member's gardens showcased on 256 captivating pages amongst 250 stunning photographs. 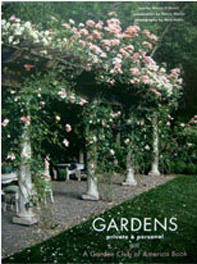 Buy "Gardens Private and Personal" online now. How many pairs of gloves do you own that have holes in them, especially in the index finger or thumb? Now there is a solution thanks to the performance features of "Foxgloves": Supplex nylon combines strength and durability with a soft, cottony feel that will provide protection for your hands and long lasting performance in your garden. Lycra spandex has finally found its way to the garden after years in swimming pools and sports arenas. 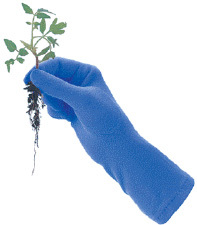 This modern fiber gives a supportive fit, and the ease of movement that have been missing in gardening gloves. "Foxgloves" are resistant to abrasion, fit snugly and continue to protect your fingers, nails, and cuticles time after time. Great all purpose gloves whether you are planting seeds, pulling weeds, clearing brush or raking leaves our garden gloves will not only protect your hands but your wrists as well. Form fitting Foxgloves come in three sizes, small, medium and large. Medium fits most women; small fits petite and short fingered hands; large fits men best. Buy "The Snapper" online now.